As much as we may not want to believe it, strength training is a major component of being a good distance runner. 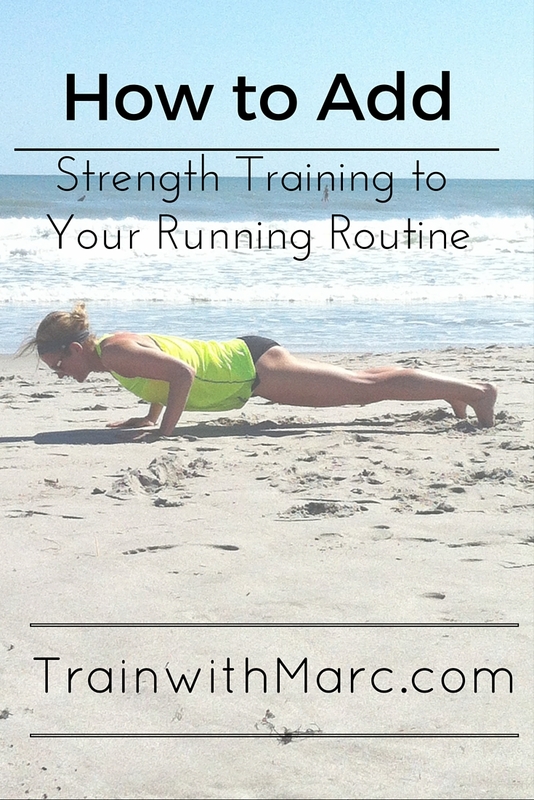 Strength training allows us to do all the running we like to do without breaking down. With all that running we’re doing, when’s the best time to get to the gym and pump iron? Well, you don’t have to go to a gym or belong to a gym to get a good workout! It does, however, depend on a few factors that I’ll review below. The good news is that you have options, as there isn’t any one right way to do your strength training. The importance lies in the fact that you actually do it, not necessarily when you do it. Do I have time to do it when I run on my longer days? 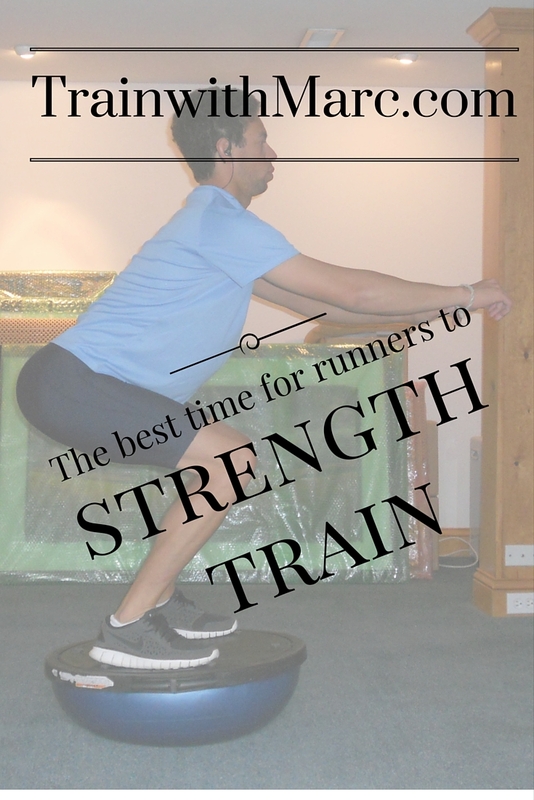 Am I exhausted after a longer run – and therefore, shouldn’t do strength work? Am I motivated after a workout? Do I like having really long days and really short days? Or do I prefer all my days to be similar in length (in terms of how much work is done per day)? Does it fit into your schedule on a particular day? Remember, strength training does NOT have to be complicated! There are so many body weight exercises that can be done to improve your strength! As a high school coach, this was the most ideal time to have my runners do their strength training. Whether it was in the weight room or doing core and abs, I could get more out of my athletes if I kept them longer on days they were running hard. The selling point to this was that their easy days would be short and I could get them home at a decent time. Coupling running workouts and strength training makes sense because the body is already prepared to work hard. The downside to this approach is that the hard days become extra hard. However, the easy days become super easy. If you have the time and motivation, I strongly suggest you do your strength training on your longer days – the days where you’re already running for a longer period of time. Doing your workout (or longer run) and strength training isn’t fun, but it allows you to fully recover on your easy days. The flip side to doing strength training on your hard days is to do them on your light days. These days present an opportunity to do strength because all you’ve done is a light run. When you only go a few miles, you have the time to get in your strength training. I’ve incorporated this into my training when my long days became too long to add strength training to. This meant that all my days were similar in length and no day was super hard, nor super easy. If your long days present a problem with getting strength training in, I suggest doing strength on your easy days. When you strength train on your easy days, you’re never fully recovered from your workout or strength training which can provide great gains in fitness. As an older runner, I’ve taken the approach to do a bit of strength training most days of the week. This means that 4 days a week, I’m doing something in the name of strengthening. This can be something as small as working on ankle strength and flexibility Depending on how my body recovers from my runs, greatly impacts what type of strength training I do on that day. It also depends on the time of year and what training cycle I’m in. If I’m just starting up my running, I’m much more likely to add in quality strength days, rather than if I’m peaking for my goal race. 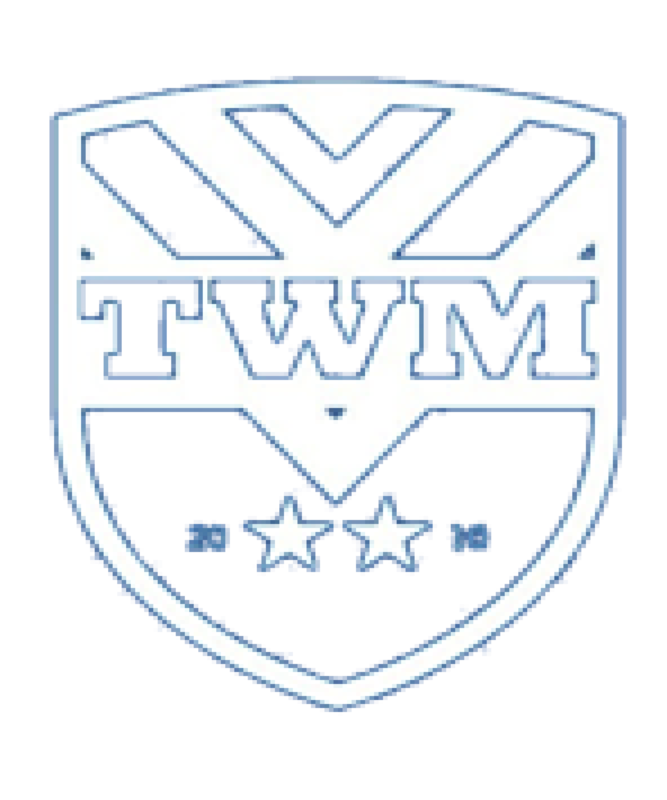 I have a few routines that I’d love to share with you. Leave a comment with your email address and I’ll share an entire folder of strength training routines that you can do whenever you want (your hard days, easy days, or spread throughout the week)! You can also find some of my routines (for free), here. When I only do 10-15 minutes of strength training a day, I’m never overwhelmed and run down. I am flexible with what I do, so I’m not tied down to one specific routine. And when I don’t want to do a routine from above, I can ad-lib and make up a unique program for that day. I keep my work flexible and enjoyable which helps me stay motivated to keep up with it. I’m never sore because I do so little on any given day, so I don’t skip runs or strength training for sore muscles. When do you add in your strength training? Do you have a particular day you strength train? Get faster by being stronger! 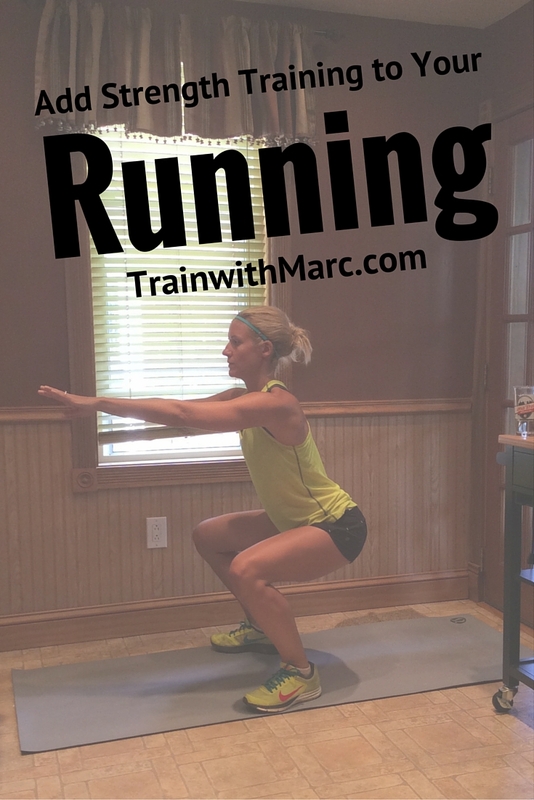 50 minutes a week to become a stronger runner!